What Does Genesis 22:1 Mean? The Lord called a man named Abram out of the land of Ur-of-the-Chaldees, and promised to lead him into a land flowing with milk and honey. This man believed God and left his home, not knowing where he was going, and his faith was credited to him as righteousness, by the Lord. 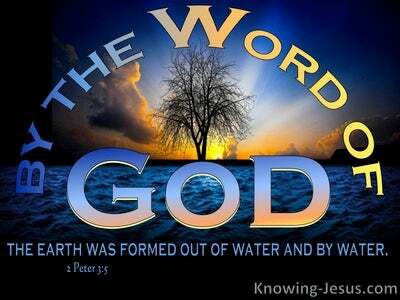 Much took place, following that special time, when God took one man of faith, out of the sea of humanity. He purposed that through this one man would come the Seed of the woman, Who would crush the head of the serpent - who is identified as the devil and Satan, following man's catastrophic fall into sin, in the beautiful garden of Eden. Years passed, and God made another unconditional covenant with this man, promising that through his physical loins, would come a special Seed. 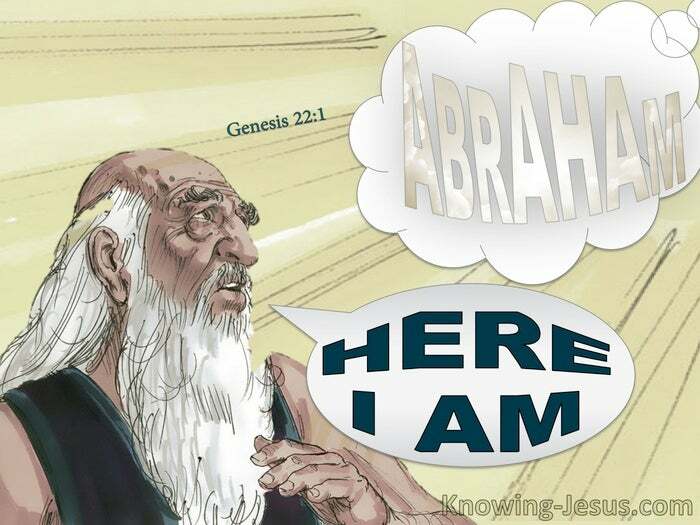 God changed his name from Abram to Abraham, which means, 'father of many nations', and gave him circumcision.. as a sign and pledge, that God would be faithful to fulfil the unique Abrahamic covenant, that was agreed between them. Abraham had various encounters with God, which tested... yet strengthened his faith. But his impatience to wait for the promised heir through his wife, Sarah, resulted in the birth of Ishmael - through Hagar. Instead of trusting God to fulfil His promise he tried to help Him through fleshly means. However, God's promises never fail, and Abraham's dearly beloved son - Isaac, was finally born, as guaranteed by the Lord - when Sarah was about 90 years old and Abraham was 100! When God tested him, Abraham had been walking with God for many decades. He had witnessed many wonders and had seen the supernatural hand of God working in his life, on numerous occasions, but he had not heard directly from the Lord for many long years. 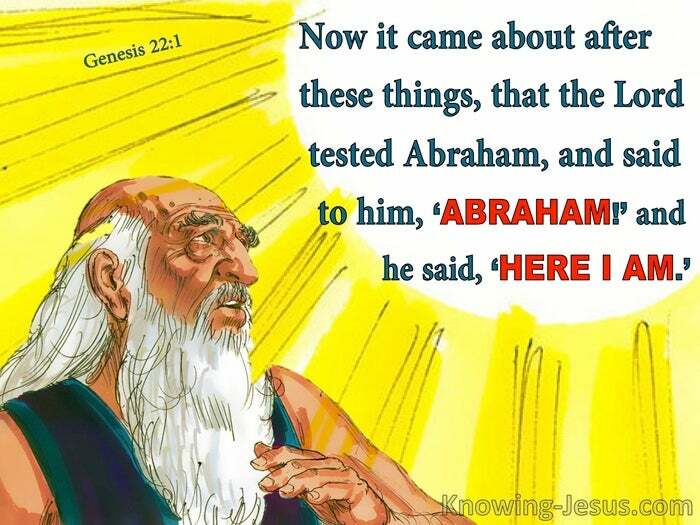 Abraham had proved God's faithfulness and recognised his long-suffering kindness on countless occasions.. but the day came when God was ready to severely test the faith of His old servant, Abraham... and the Lord called him to listen to His voice. It is often in the life of a seasoned saint, who has been walking with the Lord for many decades, and has been witness to the miraculous workings of God in many areas of their life, that the Lord is ready to test His servants. It is frequently at a time when joyful events and happy laughter fills our heart, that God chooses to examine the faith of His justified people. God can test his children at any point in their earthly walk, but as spiritual maturity develops, the trials of faith often become increasingly painful, as God searches to and from for that man or that woman, who has a heart that is undividly, turned toward Him - no matter what life's circumstances may throw at them. Every step towards Mount Moriah, must have cut Abraham's heart to the quick, for God had called this man to offer his promised son, Isaac, as a sacrifice to the Lord. It was ONLY through this 'son-of-promise' that God had pledged to bless the entire world. It was through Isaac that the promised 'Seed' was to come. It was through Isaac, not Ismael, that the Messiah was to be born. Abraham had not only been saved by faith, he was also required to live his life by faith. He was called to trust God's word, every step of the way, even when his human logic screamed the opposite. Abraham had to believe to the uttermost, that the promises the Lord had made through his son Isaac, would certainly come to pass - Abraham was called to live by faith and not by logic. He was to live by faith and not by sight. Every one of God's children are called to offer their own particular 'Isaac' to God, and each one of us may have to go through a similar test, were we are called to offer up our own beloved 'Isaac', to the Lord, when we hear the voice of God asking: Do You love Me more than your own, special 'Isaac'? May we be ready and willing to say Thy will, not mine be done. 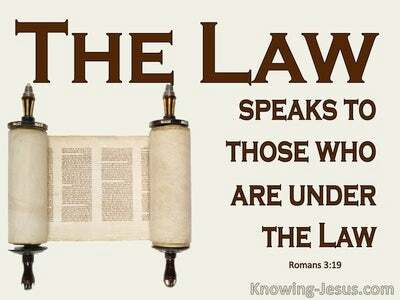 Heavenly Father, I know we are called to live by faith and not by sight, signs, logic or intuition. I believe Your Word and do not want anything or anyone in my life, to take Your place. 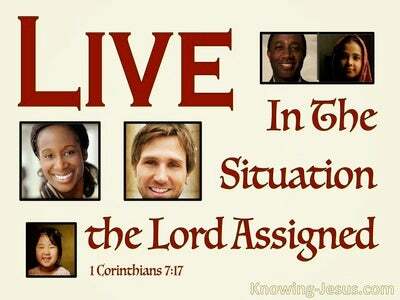 Father I want to offer You my life as a living sacrifice. 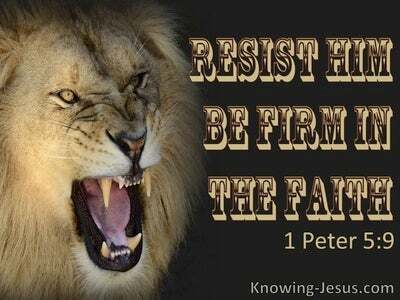 I want to listen to Your voice and to obey all that I am called upon to do.. and I pray that in the power of the Holy Spirit, I may die to my own desires and live for Christ alone - This I ask in Jesus name, AMEN.